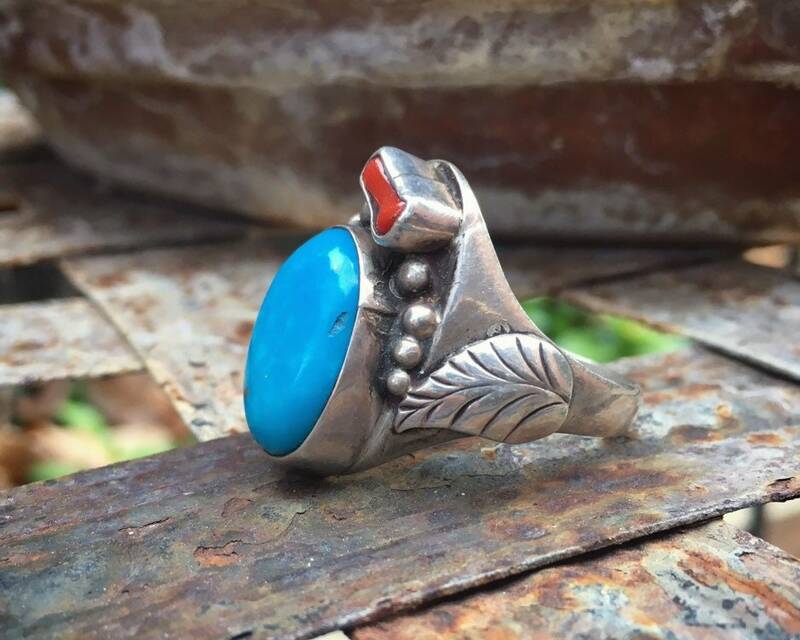 Here we have an Old Pawn ring for men featuring two cabochons--one of a blue piece of turquoise, likely Morenci as we can see a hint of gold pyrite in it, and a small section of a natural coral stem. 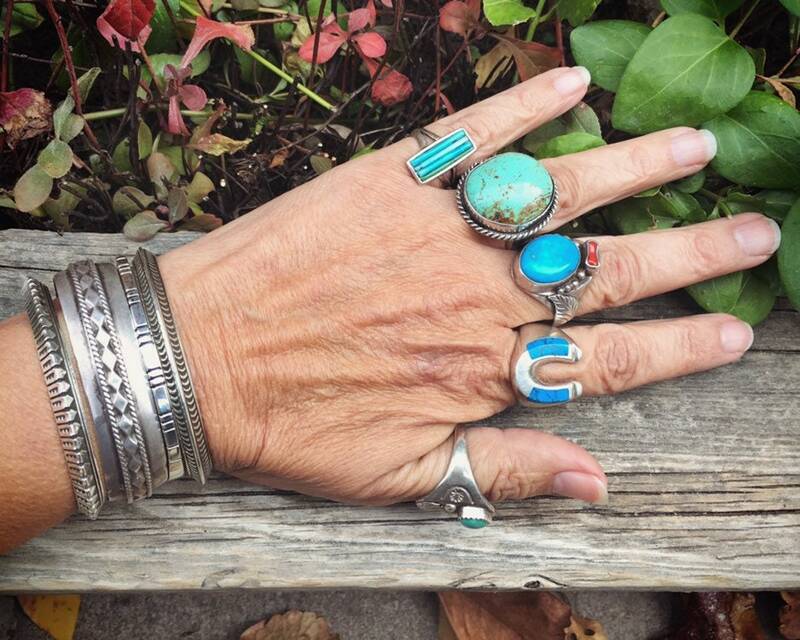 The sides around the turquoise cab have silver raindrops and going down the band are silver leaves. 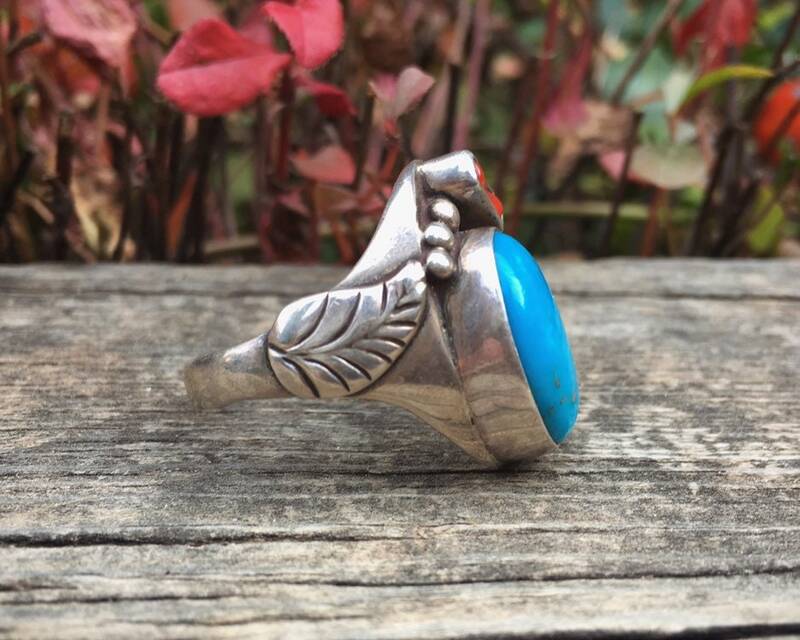 This is a very traditional Navajo ring for men, although it is unsigned. 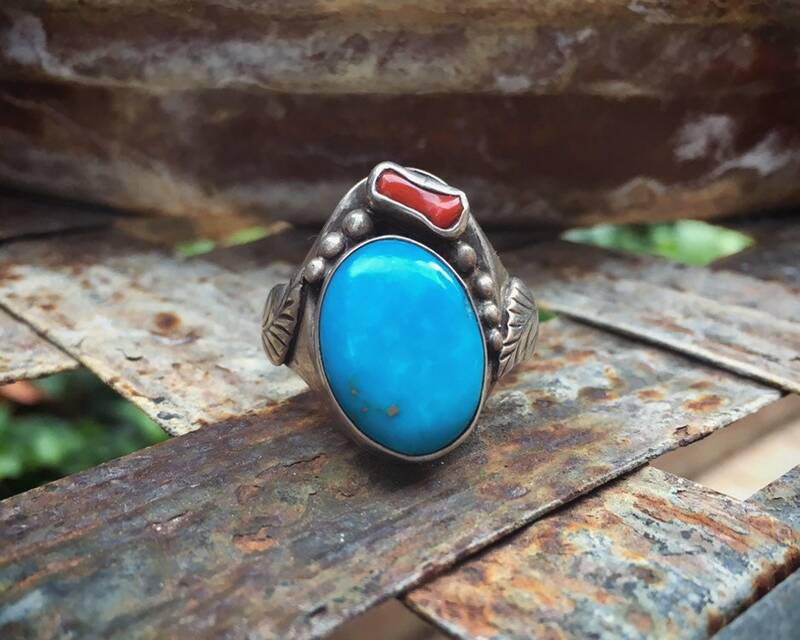 The turquoise stone has a small divot near the smooth bezel yet is well seated. 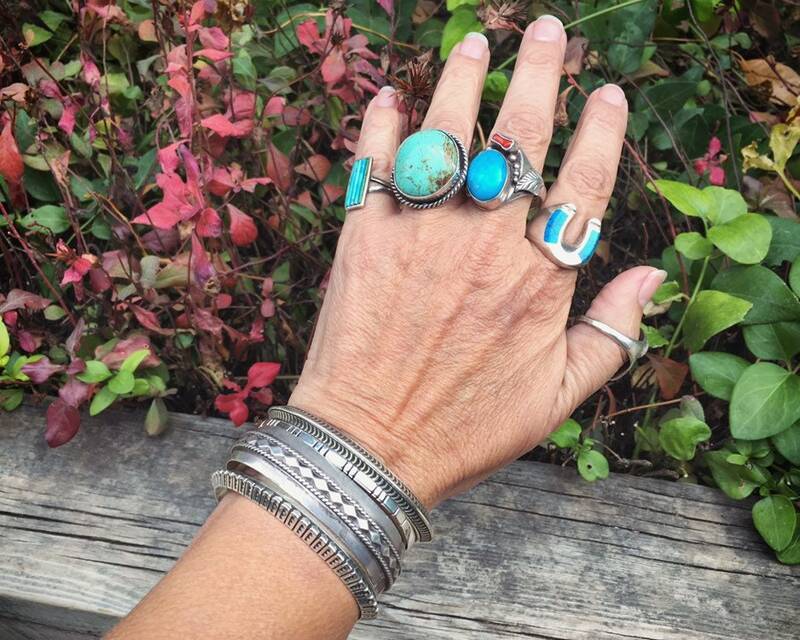 The underside of the band has thinned from wear. We estimate this to be from the 1950s to 60s. 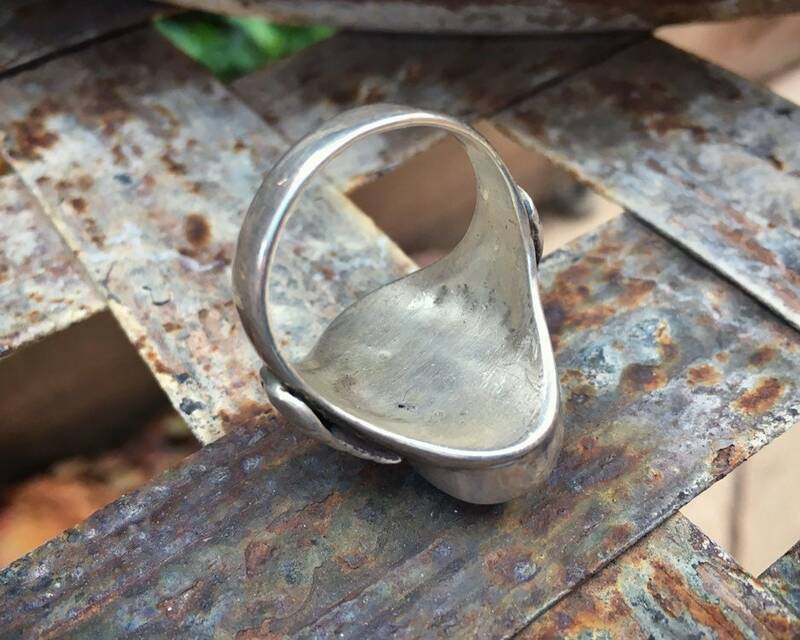 The ring is Size 13, which is large even for a Men's ring. 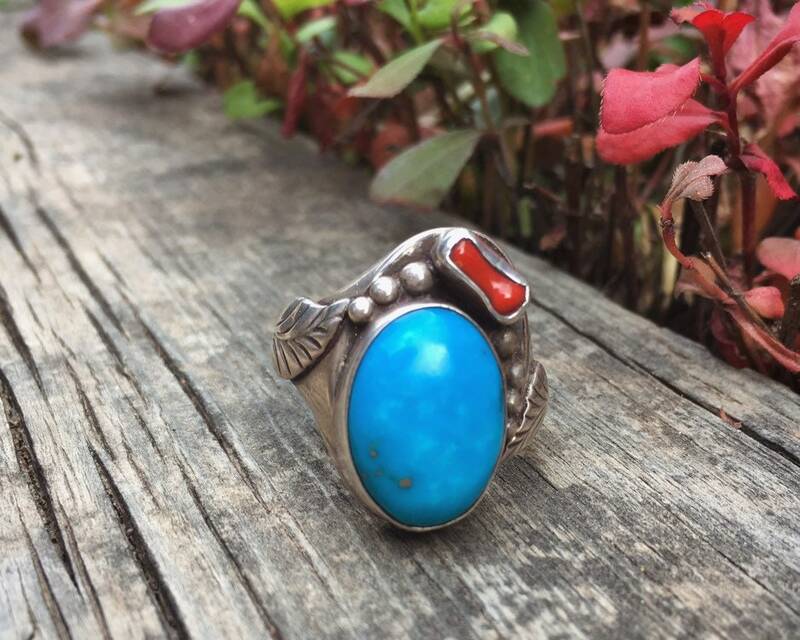 Turquoise cabochon is 3/4" long by 1/2" wide. Coral piece is much smaller. 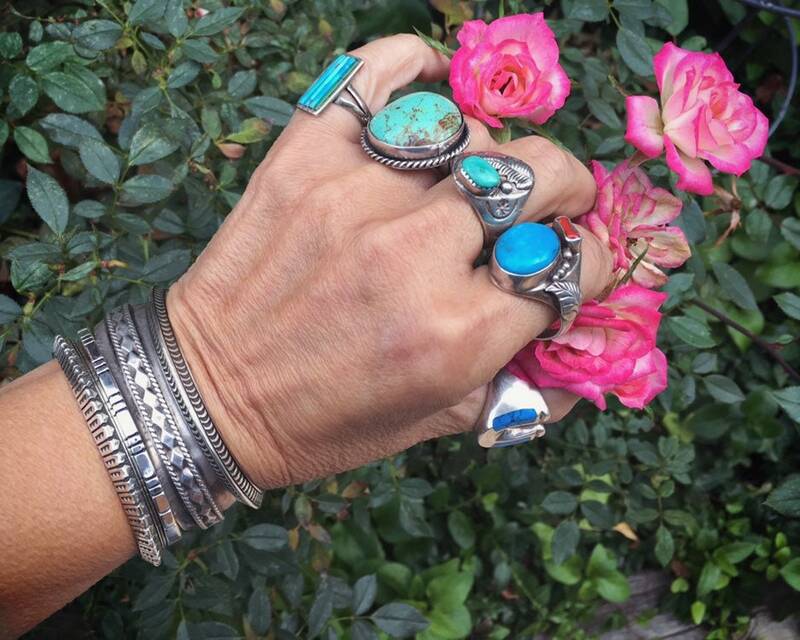 Other than the small nick in the turquoise and scratches in silver from age, in good vintage condition.